Carolyn Sue Carver Moore, 74, of Quincy, passed away Friday morning, February 5, 2016, at her residence. She was born October 9, 1941, in Baltimore, Maryland, a daughter of the late Paul and Opal Carter Carver. Carolyn was a member of the South Shore Nazarene Church and was the retired owner and operator of Granny’s Country Crafts. She enjoyed making crafts and flower arrangements and spending time with her family and friends, especially her grandchildren. In addition to her parents, Carolyn was preceded in death by one son, Timothy Paul Moore; one daughter, Susan Gail Moore Tackett; and two brothers, Donald Carver and Eugene Carver. 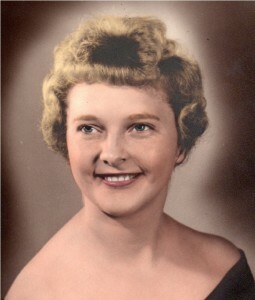 Carolyn is survived by her husband of 53 years, Floyd Moore; two daughters and sons-in-law, Nancy and Jeff Kamer of Quincy, and Sandra and Dave Pack of Lorain, Ohio; seven grandchildren, Daniel Kamer, Kyle Moore, Becky Moore, Anna Taulbe, William Pack, Michael Pack and Susan Pack; and seven great-grandchildren. She also leaves many other family members and friends who will sadly miss her. Services were at 11:00 a.m. Monday, February 8, 2016, at Globe Family Funeral Chapel in Garrison with Bro. Wes Shoemaker, Bro. Norman Potter and Bro. David Robirds officiating. Burial was in Sunset Cemetery at Quincy. Family and friends served as pallbearers.